One year after the breakthrough hard rock/middle eastern/gypsy/jam based breakthrough of “Yeti” “Amon Duul II” released their second double album, “Tanz Der Lemmings” (or “Dance of the Lemmings”). The line up is more or less the same as the previous album. However, this is where all similarities end: the music of this album is completely different from the proceeding two albums. 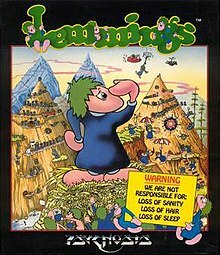 The title of the album is one of the most appropriate I’ve ever heard: at times it does sound like a particularly energetic and wild animal (such as a lemming) dancing in a forest, surrounded by like minded critters. The party they are having sounds like an incredible blast but (as befits the lemming’s reputation) they often sound as if they are about to fall off a cliff to their death as the band jams in wild and unpredictable ways through four basically side long tracks. Amazingly, the band never falls of the cliff: in fact, they reach their early, experimental peak with this album. While later albums may be more immediately listenable and enjoyable and may reach different types of peaks (such as the pop music peak of “Made in Germany”) but the band never topped the imagination and atmospheres they set with this album. The first track “Syntelman’s March of the Roaring Seventies” perfect sets up the mood of the album. It starts out as a mild march, with acoustic guitar replacing the wild electrical outbursts of yesteryear. Flutes, violins, mellotrons, pianos and dozens of overdubs help contribute to a wild, swirling sound that builds and builds. Vocals come in and non-chalantly chant rather dubious lyrics (the band never had a solid lyric writing ability) as the sound swoops and twirls. Honestly, it’s very hard to describe these songs using traditional reviewing methods. Reviewing pop songs is a much easier task as you can discuss the melodies, the arrangements and the lyrics in a much simpler method. These songs are incredibly long and diverse with multiple crescendos, valleys and arrangement details. It would be impossible to describe these tracks in a concise and coherent way. Instead, I’ll focus on the way the album makes me feel when I’m listening to it. I feel like I’m being transported into a new realm with each new track. The first track is the most dynamic track, moving through multiple movements, moods and melodies. It is much softer than “Yeti” focusing more on gentle acoustic sounds. “Restless Skylight-Transistor-Child,” the second track, has a more hard rock oriented set of riffs (a reminder of the hard rock sounds of the last album) with wild ambient synthesized sounds, gentle sitar plucking and bashing drums. It moves through a seemingly endless series of riffs, melodies and ideas. Chris Karrer and John Weinzierl particularly shine on guitar while Renate wails. The second record is the “Chasim” soundtrack and features four tracks instead of two. “The Marilyn Monroe-Memorial-Church” is the first track and the longest track on the album. It is also easily the noisiest track on the album and in the band’s career. Unlike the first two tracks, which seem relatively composed, this track seems like completely noisy jamming without any structure. Instead, the band focuses on creating a mood and indeed creates one of their most powerful mood pieces ever composed. The ominous sense of foreboding created in this track has few precedents in rock and roll and is still a harrowing experience after all these years. The synthesizers seem to be the primary noise makers here, creating all sorts of bleeps, blips and whirs that sound unlike any other synthesizer sound I’ve ever heard. The last side is made up of the last three tracks, “Chewing Gum Telegram,” “Stumbling Over Melted Moonlight” and “Toxicological Whispering.” These shorter tracks focus on creating individual moods, similar to the shorter tracks on “Yeti” and “Phallus Dei.” They are much more composed than the third side of the album and give it a levity that is lacking in the first album and the third track. To be honest, all of these songs tend to sound similar due to the lengths of the track and their extreme diversity and wild dynamics. They do set different moods but it is hard to memorize or remember any of the melodies of individual songs. As a result, Tanz Der Lemming” cannot be rated as an album of individual songs but as an atmospheric soundtrack of nearly cinematic proportions. It must be listened to in a single sitting to be appreciated properly. Those interested in “Amon Duul II” often start with this album and “Yeti” as they are (justifiably) the album’s most famous and celebrated albums. However, they actually give the listener a slightly “off” view of the rest of the band’s history. Immediately after these lengthy (although short enough to fit on a single CD) albums, the band started focusing on shorter tracks with less ominous atmospheres and easier to digest melodies. Many fans of the band actually stop listening to the band at this point. However, these fans will miss out on several albums of excellent progressive rock/progressive pop albums that feature many high quality and memorable moments. 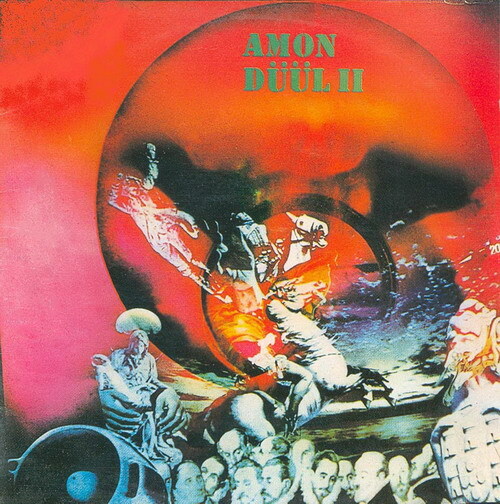 Unlike many other progressive and experimental oriented bands, “Amon Duul II” was able to progress into a more streamlined direction without “selling out” or losing their initial appeal in a mistaken attempt at commercial success. This process was to begin immediately with their next album.